If you totally want it to feel like you've changed your life by purchasing a new wireless mouse, and haven't lost anything in return, you gotta pick one up carefully and make sure it is the best one and is the cheapest one you could find at the same time. Today, that's exactly what I am going to share with you. There are 6 best and cheap wireless mice in this list. All of them are the best ones, because I've picked them up very carefully. They all made their users happy, which can be seen by the number of reviews on them, and the number of stars and what they have to say about the mouse itself. No matter which one you decide to go with, I'd recommend before you buy it, check out what its users have to say about it in the reviews section. That way, you already have made your mind to purchase it, but you can also get some additional information about the mouse that in case we could not share with you. So, without further ado, let's dive into the collection of 6 best mice that I have for you, and discuss what are their features, and what are some of their Pros and Cons. This wireless mouse is recommended by Amazon for whoever searches for "wireless mouse for laptop" on their website. It has 5 adjustable DPI levels. Six Buttons. Works with Notebooks, PCs, Laptops and even Macbooks. It's available in Black, and several other colors as well. It goes from its lowest DPI of 800 to its highest DPI level of 2,400. Jelly Comb is a wireless mouse that offers sensitive click with less noise. Slim and Ergonomic design with smooth surface. 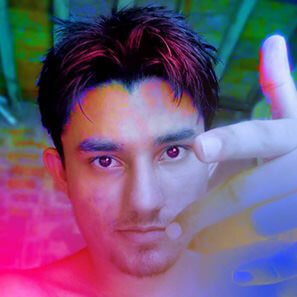 Quite clicks and does not annoy your surroundings. Works on all devices, including Laptops, PCs & Macbooks. Although, it is not compatible with those laptops that do not have a USB port, obviously, because it has a USB receiver, just like all the mice in this list. It is Amazon's Choice for peeps looking for "Small Wireless Mouse". VicTsing 2nd is an Optical Wireless Mouse with Nano USB Receiver, Ergonomic Design, 5 Adjustable DPI levels and 6 Buttons overall. It is Amazon's Choice for people who are looking for a "Wireless Mouse with Side Buttons". It also has, just like all the other mice in this list, very positive reviews and happy customers. 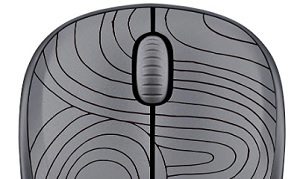 Its Symmetrical design lets you use it with both hands, right or left, not matter which one you use your mouse with. Goes from 800 to 2,400 DPI, and the default DPI settings of this mouse is 1,200 DPI. It also comes with 45-days money back guarantee, and 18 months of worry-free warranty. So you got yourself 2 warranties, one can be used to return it back and get your full return of money, in case you do not like it. The other, 18-month warranty can be used to get a replacement, in case it stops working or something. Because it is Amazon's Choice for people who are looking for Logitech M325 on their website. Which means people are looking for it by typing its name on their site. Which means it must be a good enough wireless mouse that customers are remembering its name and coming to purchase it again and again. Some of them probably have heard about it from someone else who's already been using it and found it to be a great wireless mouse. No matter what the case may be, people are genuinely interested in this mouse. This is why I am sharing it with you as well in this list of best cheap wireless mouse that you should buy in 2019. This seems like a perfect overall wireless mouse. Responds up to 33 feet of wireless range. Smart, Compact and a Cute mouse it is, according to a lot of happy customers of this mouse. Prefect for kids and girls, I'd say. TeckNet Pro is an Ergonomic Wireless Optical Mouse with Nano Receiver for Laptop, PC, Macbook & Chromebook. It has 6 Buttons overall. It also has 24 Month battery life, instead of more common 18 months. Also has 5 DPI adjustment levels, like the ones featured before it. 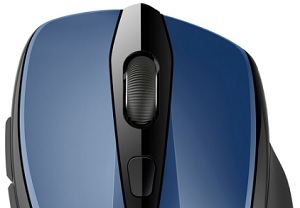 Amazon recommends this mouse whoever searches for a "blue mouse" on their site. Sometimes comes dead out of the box, so make sure you contact the seller and ask them to check it before shipping. Can these cheap wireless mice be used for gaming? Yes, they can be used for gaming. But, I wouldn't recommend doing so, that's another thing. Because if you have a gaming laptop, and you're buying a cheap wireless mouse, I am not sure what to say to you, to be honest. 🤦‍♀️ Just get a better wireless mouse with a better sensor, or a wired mouse altogether, for pinpoint accuracy. Because no matter how fast the sensor is in your wireless mouse, it can't compete with a wired one. Not for now at least.